Among our assertions in this important book is the fact that the members of the Wahabi fundamentalist opposition movements always declare themselves as more ''pious Wahabis'' than the KSA regime, thus making themselves more fanatical, bigoted, and extremist than the KSA itself, and such fundamentalist opposition movements begot Bin Laden and his likes. We hope that the Congress bill to sue the KSA for its involvement in the 9/11 terrorist attacks will mark the beginning of an era of peaceful confrontation and resistance against the Saudi Wahabi terrorism. Here in the West, when you say: "it is history", you probably mean it is dead, out of date, no longer belongs to our time. But in the Middle East when we talk about history it may mean it is very much alive more than usually expected. Middle East is the historical core of the world, where you could not understand the current daily life without its historical roots. The 9/11 attacks are deemed as the clash point between the two civilizations, the Western and the Historical one. It was analyzed according to the Western culture; let us try the other historical analytical way to complete the picture. The criminals of the 9/11 attacks belong to the KSA; the Saudi State and its Wahabi faith, presenting themselves as the 'real' Muslims against the 'infidels' of the West. Those criminals are just the bitter fruits of 270- year-old Saudi Wahabi tree. We taste the bitter fruits now, but we need to understand its roots to eliminate them; otherwise, these living historical roots will continue to produce more bitter poisonous fruits. The KSA was established three times and was destroyed twice. The third, current KSA has been established in the 20th century after the collapse of the previous two kingdoms. The first Saudi State was established in 1745 by virtue of the alliance pact between Ibn Abdul-Wahab, the fanatic extremist Sunnite Ibn Hanbal doctrine scholar who revolted against the Sufis and Shiites in the 18th century, and Muhammad Ibn-Saud, Prince of Al-Dariyya city at the time in the Najd region, located in the North of Arabia. Within this alliance pact, the Saudi Prince received from Ibn Abdul-Wahab the religious justification or pretext to conquer his neighbors in other regions in Arabia and to occupy their lands under the banner of Wahabi jihad. Creating the Wahabi dogma from the Sunnite Ibn Hanbal doctrine, the most extremist and fanatical of the Sunnite traditions, the first KSA used the name of Islam and an erroneous concept of jihad to occupy and conquer most of Arabia and to invade, raid, and massacre Shiites and Sufis in Iraq and Syria. In response, the helpless Ottoman Empire asked the Egyptian powerful governor, Mohammed Ali Pacha, to use the Egyptian army to crush the Saudi threat. After seven years of a fierce battle, Mohammed Ali Pacha destroyed the very first KSA and razed its capital to the ground in 1818. The defeat of 1818 destroyed the very first Saudi State but also strengthened the zeal of Wahabis. In the Arab world, military actions against any ideology only increase popular support for it. The Wahabis set about helping the royal household of Al-Saud to establish the second KSA in Najd for a short period in the last decades of the 19th century. Even though the second KSA collapsed soon enough because of internal conflicts within princes of the Saudi royal family members, Wahabism grew and spread all over Arabia. Wahabi scholars insulted other believers of the other sects, accusing them of being apostates/infidels; people of the other sects (Sufis, Shiites, and non-Wahabi Sunnites) were unprepared to defend themselves against Wahabi fanatics. Seeing that non-Wahabis lacked a strong counter-argument, hundreds of thousands of Muslims switched their support to Wahabism; i.e., they converted to Wahabism as if it were 'real' or 'original' Islam. The local, regional, and international conditions and circumstances helped create the ideal climate to establish the third, current KSA. The European superpowers were busy in their own problems and conflicts during World War I, while the weak Ottoman Empire in its last days was unable to fight and resist the founder of the third KSA who conquered many regions of Arabia. The Arab Muslim countries were ruled at the time by the Europeans colonialists and the Arab Muslim masses were ready to help any emerging Muslim movements as long it would not fight them. Abdul-Aziz was the son of Abdul Rahman Ibn Al-Saud, and he founded the third current Saudi State with the help of fanatic Wahabi guerrilla soldiers and fierce fighters known as the Najd Brothers. For more than 10 years, the Najd Brothers fought for Abdul-Aziz to help reestablishing the third Saudi State during the period of 1913 – 1925. In 1932, it was eventually named as the Kingdom of Saudi Arabia. The Najd Brothers, who were lawless, tough Bedouins, were steeped in Wahabi dogma inculcated to them by Wahabi scholars under the supervision of Abdul-Aziz, believing it to be the 'real' forgotten Islam revived at last, to be enforced with swords and Wahabi jihad. After conquering the Hejaz region, that contain the Muslim sacred locations, and annexing it to their conquered territory of the burgeoning kingdom, the Najd Brothers wanted to continue their jihad by invading Iraq and Syria where they had committed many massacres before as well. This posed a veritable threat to colonies of Great Britain and allies of the British crown. Abdul-Aziz saw this and made a strategic decision to distance himself from the Najd Brothers, thereby keeping his kingdom secure by avoiding conflict with Great Britain. This was the first time the Saudi political authority and its religious authority were at odds. The Najd Brothers, who believed in an on-going, continuous jihad until the end of times, denounced and condemned the reluctance of Abdul-Aziz concerning conquering Iraq and the Levant to spread Wahabism as they preferred. They accused Abdul-Aziz of being an accomplice of apostates [the Egyptians that used to control Hejaz and pilgrimage to Mecca] and the infidels [the British], as he allied himself to the British crown. Abdul-Aziz tried to eliminate this dissension and disputes resulting from it, but the Najd Brothers used their Wahabi teachings to bolster their condemnation of Abdul-Aziz, invoking ideas of the founder Wahabism, Ibn Abdul-Wahab, and the two ancient fanatical Sunnite imams/scholars, Ibn Taymiyya and Ibn Hanbal. Abdul-Aziz adopted a certain policy; he was determined to protect the very existence of the KSA rather than to exert efforts to reform Wahabi faith notions and tenets which are never compatible with the modern age. It was clear even in the early 1900s that the Wahabi doctrine direly needed reform, but the helpless Saudi Wahabi scholars were incompetent at doing so, as they were a bunch of obsequious ignoramuses. There were many peaceful attempts to reunite and reconcile Abdul-Aziz and his Najd Brothers in conferences held in Riyadh in 1927 and 1928 and in other cities, but such conferences failed to head off a brewing conflict, as the Najd Brothers accused Abdul-Aziz of forsaking Wahabism in return for worldly gains. Abdul-Aziz had to fight his own Najd Brothers as they militarily rebelled against him and defeated them in 1929, with the aid of the British. But he could not defeat or reform their Wahabi dogma. Hence, the problem has been left unsolved until the present day. This is how it has become a veritable danger to the KSA, the Muslim World, and the Western World as well before and after the 9/11 attacks. Abdul-Aziz abandoned endeavors of reformation and chose instead to protect his burgeoning kingdom against its internal and external enemies. Shiites live at the Saudi borders with Iran, Iraq, Syria, and in Yemen; they also were inside the Kingdom, in the Eastern region, Al-Ahsa, and in Al-Hejaz. Abdul-Aziz had a plan to focus on non-Shiites; he wanted to persuade all Sufis all over the world to convert to Wahabism, especially in Egypt and India, home to the biggest oppressed Sunnite and Sufi populations. He would then use the Wahabi dogma as a religious motive to revolt against their Christian oppressor, the British Empire. Once Abdul-Aziz took control of Al-Hejaz and the Holy Land in it in 1925, he had the perfect opportunity to recruit his converts and spread the Wahabi faith all over the Muslim world, in Egypt and India in particular. In 1928, the Muslim Brotherhood terrorist organization was established in Egypt by Hassan Al-Banna and his spiritual master Rasheed Reda, who was Abdul-Aziz’s agent in Egypt to convert Egyptians gradually to Wahabism in the name of Salafism. From 1928 to 1948, Hassan Al-Banna established fifty thousand branches of the MB organization throughout Egyptian cities, while creating its international organization headquarters and secret armed militias. The MB members have participated in fomenting the Egyptian 1952 military coup, which has changed the history of Middle East. After the success of the coup-turned-revolution, the MB members came into conflict with the Egyptian President Gamal Abdel-Nasser, who harshly quelled them that most of them had to flee Egypt. Most of the MB members escaped to the KSA and waited to return to Egypt when President Sadat came in power. Sadat gave them the authority to control Egypt’s educational, religious, and cultural sectors, and they seized the chance to create public and secret organizations under them all over Egypt to infiltrate into all the Egyptian State institutions. Their plan was to take over Egypt one day, and their plans involved an MB member within one of their secret organizations assassinating Sadat. The MB terrorist organization produced two infamous leaders, Sheikh Omar Abdul-Rahman, the blind cleric currently imprisoned in the USA, and Ayman Al-Zawahiri, the right-hand man of Bin Laden. Another MB member was Mohammed Atta, ringleader of the 9/11 attacks. Returning to the early 20th century, Abdul-Aziz found it easy to recruit Indian Muslims to serve his plan. They hated the British and the majority of their fellow Indians, and thus, they found in Wahabism the justification to revolt and divide India into two countries. Thus, Pakistan was created as one of the greatest mistakes of the 20th century. Helped by the KSA, Pakistan and its "madrasas" or 'Islamic' schools created the Taliban, which later on took over Afghanistan. Instead of modernizing and updating Wahabism after his clash with the Najd Brothers, Abdul-Aziz preferred to spread Wahabi teachings in their original medieval form within the rest of the Arab and Muslim world; this created bloody religious turmoil from Algeria to Indonesia and from Sudan to Russia, and finally to the West and the USA before and after 9/11 attacks. Following King Abdul-Aziz, his sons, King Saud, King Feisal, King Khaled, and King Fahd have maintained Wahabism as it is in their kingdom; spurred by the huge oil revenues and wealth, they aspired to make their KSA, owned by their royal family, the leader of the entire Arab and Muslim World. Because of political and economic interests, the West – especially the USA – accommodated this Saudi policy. Moreover, facilities were given to the Saudis to create Islamic Centers in the West to spread the Wahabi dogma as if it were 'real' Islam. This gave Wahabis the opportunity to influence and brainwash Muslim communities in the West countries. Many new Islamic schools, institutions, and centers were opened in the West countries with Saudi money and controlled by Wahabis. They controlled ancient Muslim centers, schools and mosques with Saudi funding; they introduced Wahabi cultural resources and books as the 'pure' and 'true' Islamic teachings, publishing them in several editions in both Arabic and English. This campaign began as early as the 1970s all over the globe, under the sponsorship of King Feisal of the KSA. After ten years, we have become an active reformist inside Sunnite groups in Egypt; we were at the time persuaded by the Saudi propaganda that the USA population would completely convert to 'Islam' by the 21st century. One might argue that upon failing to reach this 'grand' goal within the Wahabi scheme, their response was the 9/11 attacks. Oil revenues and wealth gave the Saudi royal family members the ability to modernize the material aspect of life of their people while their religious, social, and cultural life remained virtually the same, controlled by the backward Wahabi dogma. This created a huge contradiction, exacerbated by a strategic decision by the Saudi royal family members to ally themselves with the so-called "infidel" Western countries instead of waging Holy War of jihad against them. This situation has established two different kinds of Wahabi Sunnite fundamentalist oppositions: the traditional simple Wahabi opposition of Juhayman Al-Otaybi which during the reign of King Khaled repeated the opposition of The Najd Brothers during the reign of King Abdul-Aziz and the current armed Wahabi opposition which produced Bin Laden. The KSA could react to this Wahabi opposition movement by banning and confiscating books authored by Juhayman Al-Otaybi. Al-Otaybi himself invaded the Kaaba Sacred Mosque with his armed men in 1979 and was later on arrested by the Saudi authorities and put to death. The current Wahabi Sunnite fundamentalist opposition movement which produced Bin Laden? This opposition movement was a part of the Saudi regime and the product of its policies of reforming education systems inside the KSA and of spreading and propagating Wahabism inside and outside the KSA. Thus, the Saudi royal family members have made it and are punished by it. It is easy to remember that Bin Laden fought the USSR and the communists in Afghanistan in accordance with the Saudi policies and its Wahabi notion of jihad. The only difference here is that the KSA wanted to adapt this Wahabi jihad according to its political aims and to its need for the American protection, whereas Bin Laden and his likes were willing to continue waging wars against all 'infidels' all over the globe as per Wahabi teachings. They had access to battle means and tools in the West and outside the KSA that Juhayman Al-Otaybi had not in the late 1970s. Juhayman Al-Otaybi and his group were simple regular ordinary Wahabi people. They read the books of Ibn Abdul-Wahab and Ibn Taymiyya and believed deeply in them. They were obsessed by the contradiction between these teachings and the Saudi policies in dealing peacefully with the West countries and the non-Wahabi Arabs in general. Juhayman Al-Otaybi was not convinced by the justification offered to this by the late King Abdul-Aziz and repeated by Ibn Baz, the high-rank official Wahabi religious leader of the KSA at the time. On the contrary, Juhayman Al-Otaybi believed in the same beliefs of The Najd Brothers when they revolted against Abdul-Aziz, accusing him of forsaking Islam for the same reason of allying himself to non-Wahabis. Juhayman Al-Otaybi and The Najd Brothers used the same teachings of Ibn Abdul-Wahab and Ibn Taymiyya against the Saudi royal family and the KSA. Juhayman Al-Otaybi and The Najd Brothers even used these accusations in its traditional way and terminology of the 18th century, though both Al-Otaybi group of men and The Najd Brothers existed in the 20th century. This was not the same situation of the current Wahabi fundamentalist opposition movement which includes highly educated people; most of them were educated in the modern Western universities at the expense of the KSA government, using this modern education to support their Wahabi faith, even against the West and the USA. The fanatics who comprise the current Wahabi dogma did not become extremists because of their Western education. Rather, most of them belong to ancient tribes shamefully defeated by King Abdul-Aziz. While studying in the West, they came to realize the extent to which the Saudi royal family suppresses their human rights, social rights, citizenry rights, and political rights. Upon returning to their homeland, the KSA, they were reminded of their humiliating lower status. The Saudi royal family members usually give the high-rank posts and positions in its administrations to its loyal obsequious followers from certain tribes and clans, ignoring the other tribes, even if these tribes have the most highly qualified professionals. Those depressed qualified intellectuals and scholars wanted to oppose the regime by any means, but could not do so with help from the West; their only hope was the Wahabi faith, which offered them the platform for challenge; that is, they would be able to undermine and destroy the KSA by declaring it to have no religious legitimacy at all. Abdul-Aziz had used the Wahabi dogma only in establishing the third, current KSA. He made it as a first step, leaving the other steps for the coming generations of his royal household. The current Wahabi fundamentalist opposition movement is the generation of this mission. They were taught in the West, and some of them are currently living in the West, but they are waging wars against the West in different ways, including giving support, with money and men, to the likes of Bin Laden. This means that King Abdul-Aziz, the founder of the third, current KSA, was unable to fulfill all the demands required by the Wahabi teachings, and the current opposition movements, led by Bin Laden and his likes later on, are completing what Abdul-Aziz and his successors could not do. Khaled Al-Islambolly, Abdul Salam Farag, Ayman Al Zawahiri, Omar Abdul Rahman, Abou Hafs, Mohammed Atta, and other terrorist leaders, are samples of that Egyptian generation which have imbibed the Wahabi faith from 1970s till 1990s, according to the new developments made by the King Feisal and his chief ally in Egypt, President Sadat. Bin Laden had been taught the same faith inside the new Saudi schools and universities built by King Feisal. The Egyptian October War waged to liberate Sinai in 1973 from Israeli occupation benefited the KSA very much; the oil prices soared very high, with $ billions entering pockets of the Saudi royal family members, while the Egyptians at the time had gone through hard times of economic crises. The Saudi royal family members had used the new billions in enslaving the starving Egyptians intellectuals, employees and workers, recruiting them to work indie the KSA in return for low salaries and wages and in humiliating work terms and despicable conditions in order to educate and develop the KSA citizens. Slavery has been legal in the KSA until it was officially abolished in November 1962; yet, it is still practiced in another different way named "Al-Kafeel" (the sponsor), which means the Saudi citizen can bring foreign workers and be their sponsor/keeper, and accordingly, the Saudi laws give him the total authority to use them in any way he likes. The Egyptians and other non-Saudi Muslims working there have been the victims of this Saudi slavery for a long time. The Saudi money inside Egypt has been used in deepening the Saudi/Wahabi influence inside the Egyptian institutions, administrations, and governmental bodies and in recruiting the desperate young men to serve the Saudi Wahabi public organizations, to be used later on inside the secret terrorist Saudi Wahabi organizations. Saudi oil revenues and the Egyptian intellectuals working inside the KSA have built the new powerful Saudi stage between 1970s and 1990s, and this is the background of the 9/11 terrorist attacks. Policies adopted by King Feisal are still working until now, especially in the field of education in spite of the current call for reforming the Saudi education. Thousands of schools and many new universities were built by King Feisal, and thousands of Saudi students were sent to the West universities to get higher education. But all of this progress was and still in the service of the Wahabi faith as students were – and still - imbibing it as the 'only' and 'real' Islam, even if such students come from Shiite or Sufi backgrounds. The KSA used to have some different ideologies and peaceful opposition movements in the 1950s and the 1960s: communists, Leftists, Arab Nationalists, and Nasserists, but King Feisal adopted means of severe persecution and the new stage of oil wealth to destroy all these movements and ideologies, asserting the control and dominance of the Wahabi culture within people inside the KSA. 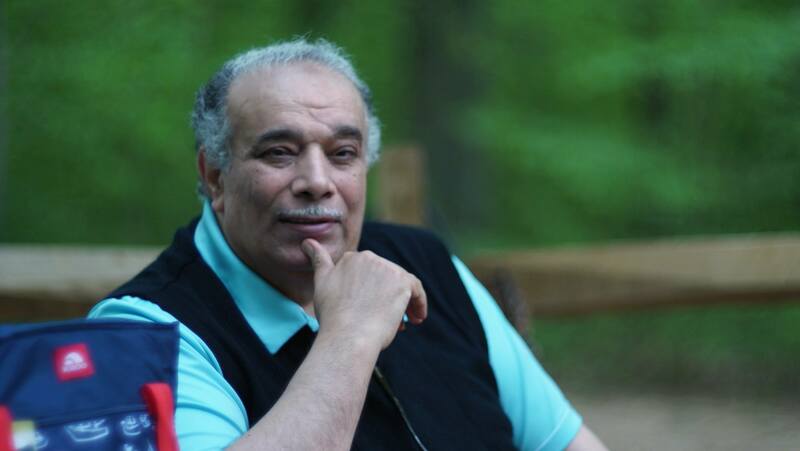 Beside education, King Feisal established many official agencies to disseminate, spread, and propagate Wahabism throughout the Arab and Muslim World and inside the Muslim communities in the West countries. Among bodies established by King Feisal to spread Wahabism all over the globe, posing as Islam, are the following: The Council of Religious Studies, Researches, Fatwas, and Guidance, The League of the Islamic World, and The International Society for the Muslim Youths. It is clear that King Feisal wanted the Wahabi ideology to replace Arab Nationalism (aka Pan-Arabism) and its leaders in Iraq and Syria. Many Saudis graduated from the Western universities, obtaining the very modern sophisticated sciences along with their Wahabi culture imbibed at home, using their new modern technology and science in service of Wahabism. Simultaneously, there have been hundreds of thousands of religious scholars and teachers working inside the KSA formal and public governmental segments and sectors, and others are volunteers, serving the Wahabi cause as their own jihad to advocate the Wahabi faith during the season of pilgrimage, or outside the KSA. Others donate money to speed up steps of the jihad everywhere. All of such persons are united by one mission: to face the atheist and communist ideology of the USSR and to advocate 'Islam' (i.e., their Wahabism) in the West countries especially the USA, using the Western values of freedom of speech and belief and their alliance with the USA against the USSR at the time. The Cold War at that time was their wonderful chance to establish – gradually and slowly but steadily – the final aim of the KSA; unifying all Arabs and Muslims under control of the Wahabi Saudi State. That is why the KSA has overlooked the very necessary duty of reforming Wahabism from inside Islam to update it to cope with the modern world culture of human right, democracy, and tolerance. This is what Egyptians are supposed to do if they have a democratic independent regime ridding itself of the Saudi influence and control. However, the KSA with its Wahabi bodies and organizations as well as its supporters like Salafists and the terrorist MB members share one ambition: establishing the one, unified Islamic State or caliphate peacefully, gradually, and slowly but steadily, by the help of the millions of American Muslims and other millions of Muslims in the West countries who convert to Wahabism, thinking of it as if it were Islam. The war of Afghanistan gave some of the Wahabi fundamentalists the necessary military training, but the collapse of the USSR has left only one cunning enemy of the fundamentalists: the West countries in general and the USA in particular; sadly, both the USA and the West countries allowed Wahabism to spread among their respective Muslim populations. The first Gulf war has divided Wahabi fundamentalists into two groups: the official, formal obsequious Wahabi scholars working under the Saudi regime who have to justify the Saudi policies, and the Wahabi terrorist fundamentalists of the opposition movements who fought the enemies in Afghanistan for the Wahabi cause and were eager to defeat and undermine the KSA, the USA, and the entire infidels on the globe (i.e., all non-Wahabis in general). It is very easy to activate the same Wahabi notions teachings of bloody jihad, not only against the KSA, but also against the USA. This was how the 9/11 attacks plan finally hatched after time of incubation that lasted from 1745 until 2001.